New Delhi, March 22: The BJP on Friday accused the Congress of attempting to "separate terror from Pakistan" and said that while on one hand it blamed the Narendra Modi government for the air strikes in Pakistan, on the other, it was handing out a clean chit to Islamabad. "Shame on Congress. Top Congress leader and Rahul Gandhi's chief advisor Sam Pitroda, on one hand, handing out clean chit to Pakistan, while on the other blames Modi government and India for the air strikes. 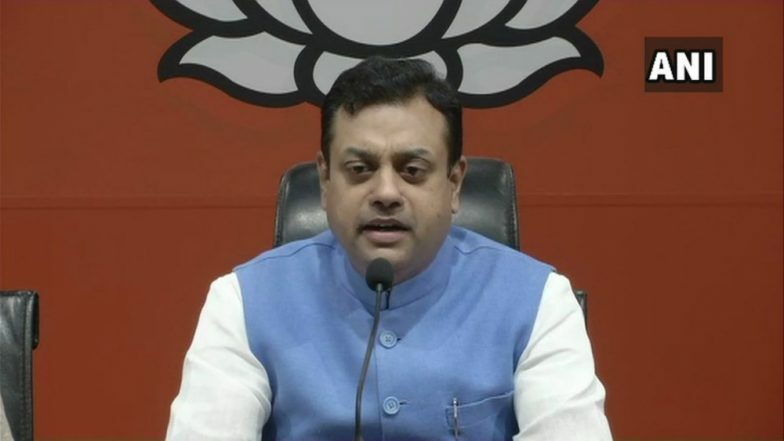 Astonishing attempt by the Congress to separate terror from Pakistan," Bharatiya Janata Party (BJP) spokesperson Sambit Patra tweeted. Earlier, referring to the February 14 Pulwama terror attack, Pitroda had said that such incidents "happen all the time" and that the United Progressive Alliance government could have also reacted by sending planes across the border after the 2008 Mumbai terror attack but "that is not the right approach" to deal with the world. PM Narendra Modi Hits Out at Sam Pitroda For Questioning Balakot Death Toll, Says 'Congress Celebrating Pakistan National Day'. He said one can't jump on the entire nation (Pakistan) if a few terrorists "come and do something" in India, and that it was naive to blame every citizen of that nation because of some people.